Today marks the launch of our new Winter À La Carte Menu, served in our Brasserie. 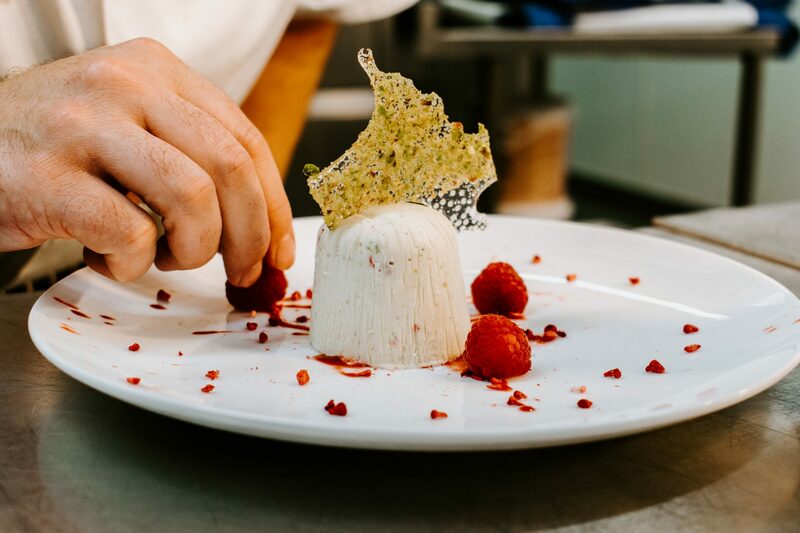 The menu is full of delicious, seasonal ingredients that come together to create unique, signature dishes worthy of our AA Rosette Award. 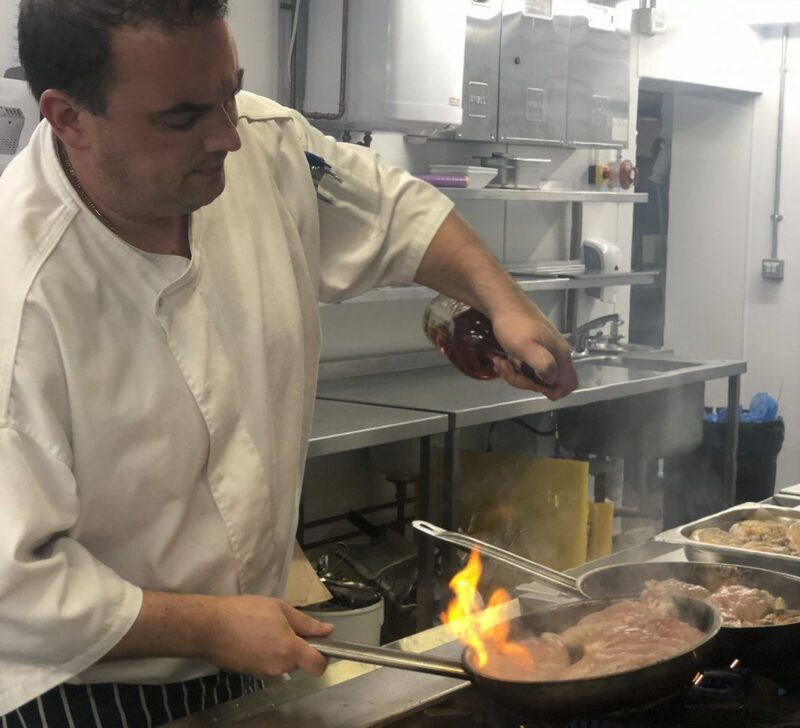 We sat down with our new Executive Chef, Stuart Gauld, to find out how the menu was created and how he’s put his own spin on the Aubrey Park Brasserie. What’s the inspiration behind the menu? We take our inspiration from our different cultures and tastes. 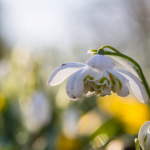 We look at what is seasonal and try to find either classical or contemporary ways to use key ingredients in our dishes. I always like to leave guests with a full tummy and a smile on their face, the Pork 3 way and Reimagined S’mores is the best example of this. What was the process of choosing new dishes for the menu? I asked the team to write me down a few options of dishes, plus a signature soup, containing seasonal ingredients depending or their skill set and experience. I also added in a couple of my own dishes. This creates a buy-in with the team to showcase their own dishes on the menu. Once all the dishes were submitted we set about selecting a balanced menu that has an appeal to a variety of guests. 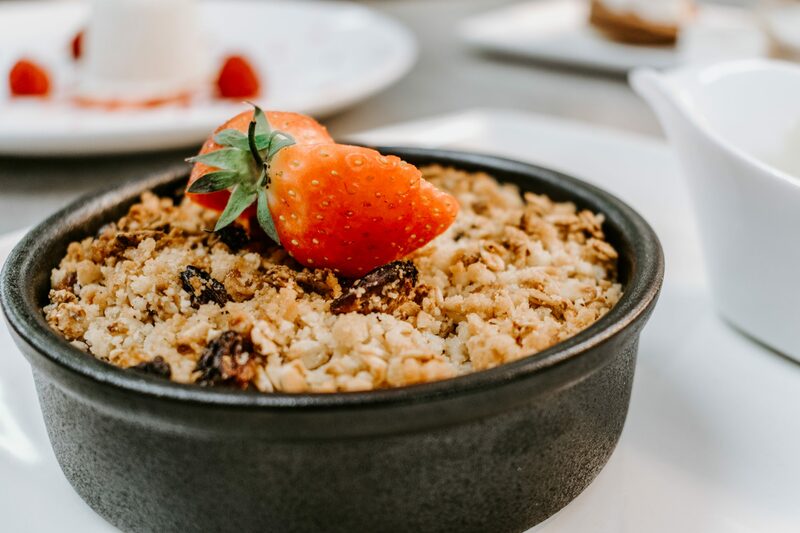 We look at selling price and make sure that there are dishes that suit all budgets, which naturally excluded some of the higher priced dishes and made us think about how we could use different items to try and achieve a similar outcome. My favourite starter would have to be the textures of cauliflower. I have been playing with this dish for a while now as I think cauliflower is such an underestimated vegetable, it usually just gets lumped with some cheese sauce and stewed in its own juices. 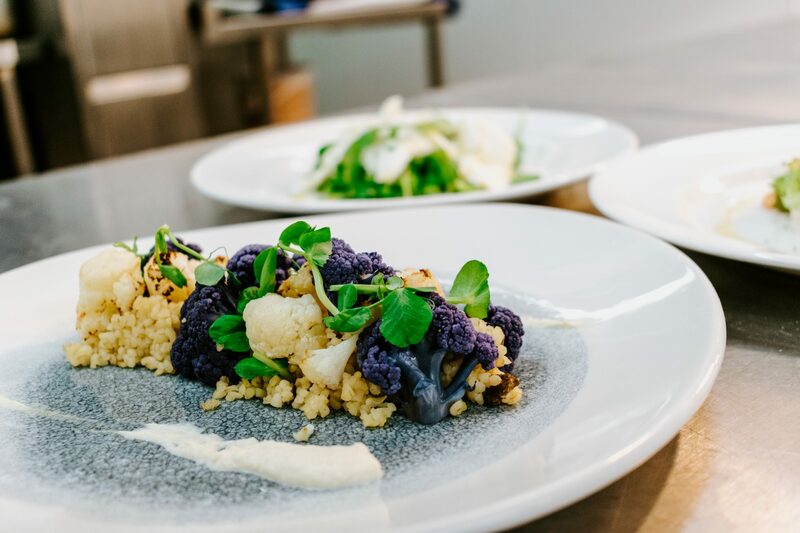 But with this dish we have created 3 different ways – colours, textures and flavours, to enjoy our fantastic English cauliflower. 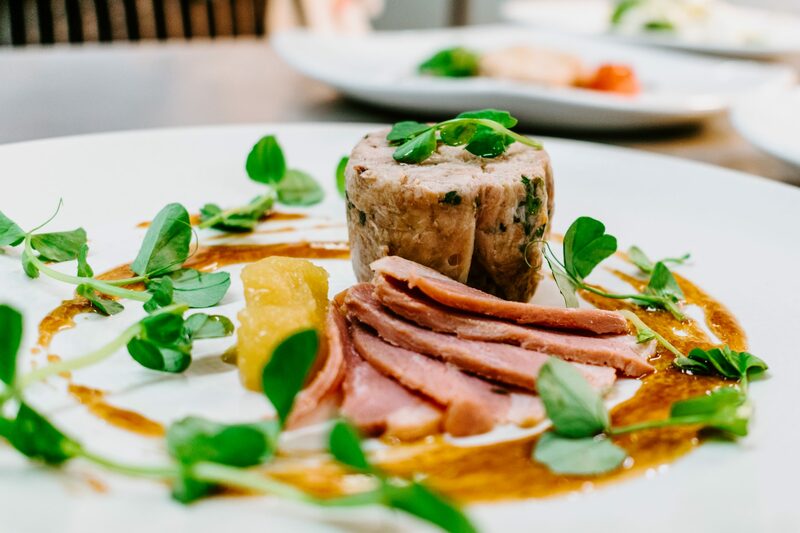 For the mains course it has to be the Pork 3 ways – I enjoy Pork as much as I do Lamb and again we have found a way to show just how versatile the meat can be, the black pudding puree gives a fantastic little twist. 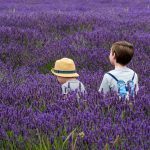 Desserts – I’m torn! 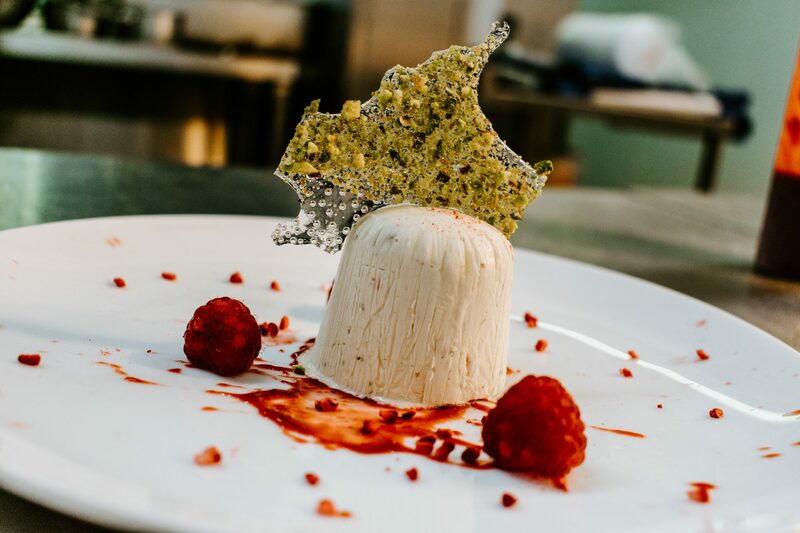 I naturally gravitate towards cheese and biscuits so there has to be something pretty special on a dessert menu to make me think twice. 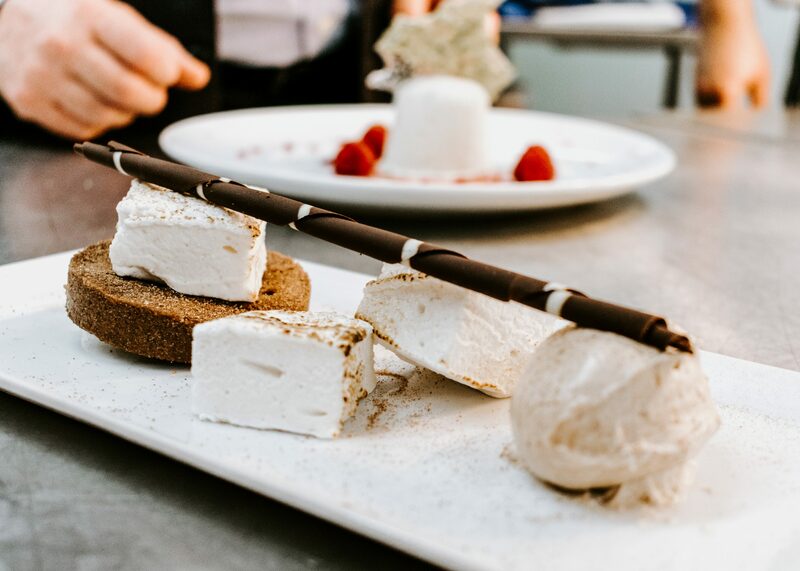 If you love cheesecake then the blueberry ripple is going to be right up your street, but the delicate flavours of the raspberry & pistachio on the semifreddo also work so well together and the Reimagined S’mores are something really contemporary. Everything on the menu is made in house and I am very proud of what the team have put together. 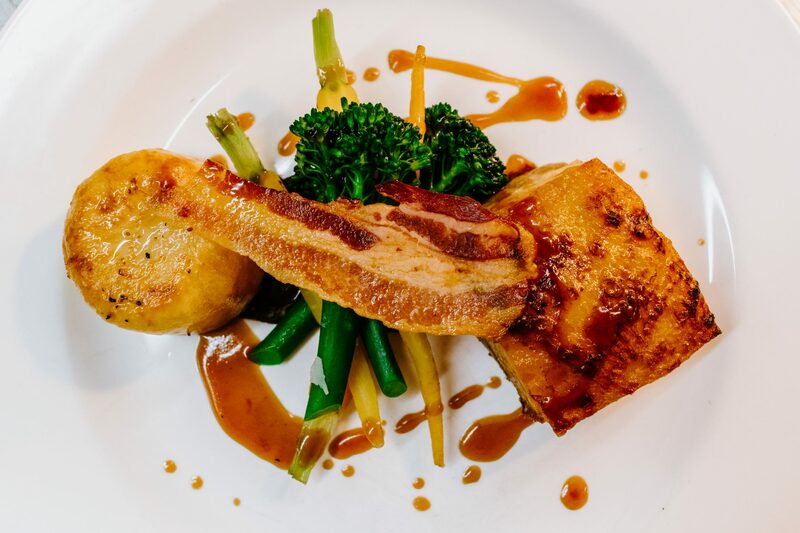 Most of these dishes are from the team which is the way it should be, I give the dishes a little tweak here and there or suggest a different ingredient to better suit the dish or remove an allergen but this menu is an all-round team effort. 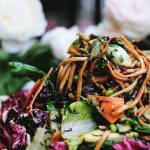 What new ingredients are used that we haven’t seen before from Aubrey Park – and what makes them special? 2 ingredients I don’t think you will have seen before are the homemade marshmallow for the S’mores and the British purple cauliflower. The cauliflower is unusual as everyone thinks cauliflower is white and only associates purple vegetables with an aubergine or perhaps some purple sprouting broccoli, when in fact there are loads of different vegetables available in a lot of different colours if you know where to look for them. The marshmallows, well… who doesn’t like a toasted pillow of yumminess! What’s the Blue Plate Special all about? 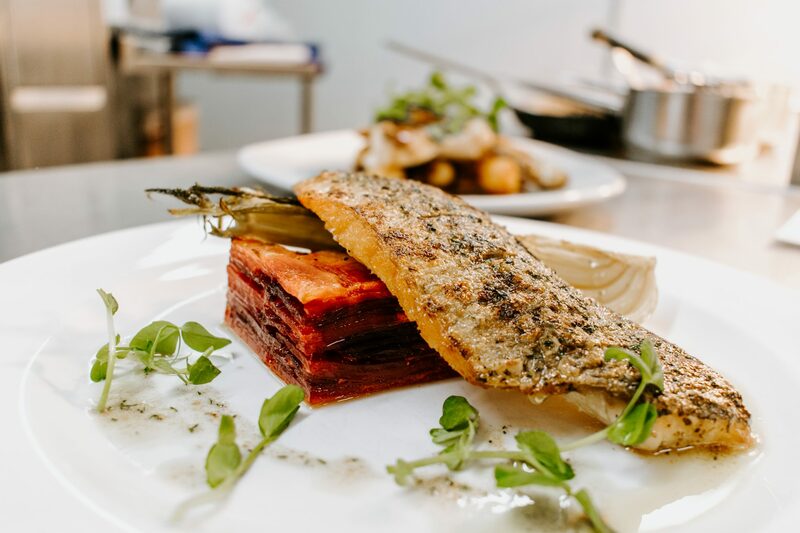 The blue plate special is about sustainable fishing and having some great fish caught off the local coasts, delivered fresh to our doorstep and cooked as simply as possible. 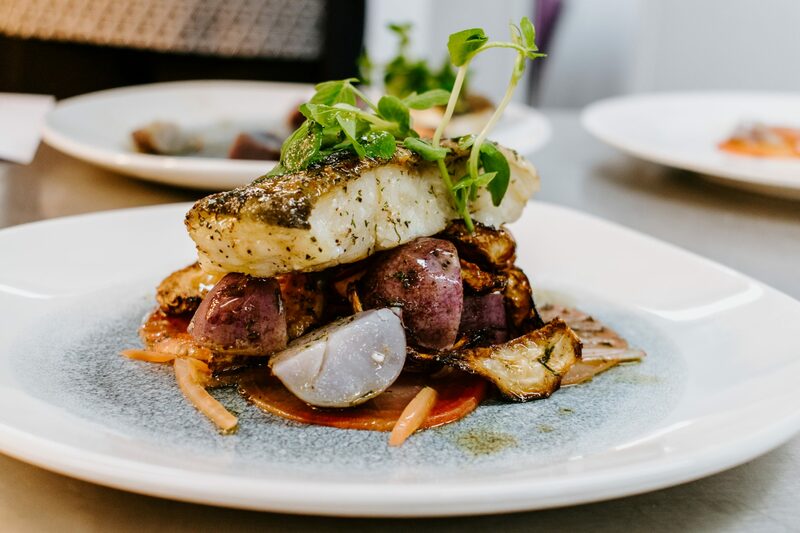 We will take some grey mullet for example, and simply grill it with a touch of sea salt, add some heritage potatoes and a wedge of lemon. Done! If there’s one dish that best represents Autumn and Winter for you personally, what would it be and why? Coming into winter I like a good old-fashioned braised dish. Nothing better than walking by the stove or oven and catching that aroma of a beef bourguignon or a Coq-au-vin, then sitting down with a large glass of cab’ sav’ or a full-bodied Merlot and a bowl – not a plate! – a bowl of the meat, some potatoes, either mashed or Boulangere, and a large hunk of bread to dip in the left over sauce. The new menu launches today, Friday 2nd November. To view the menu, click here. 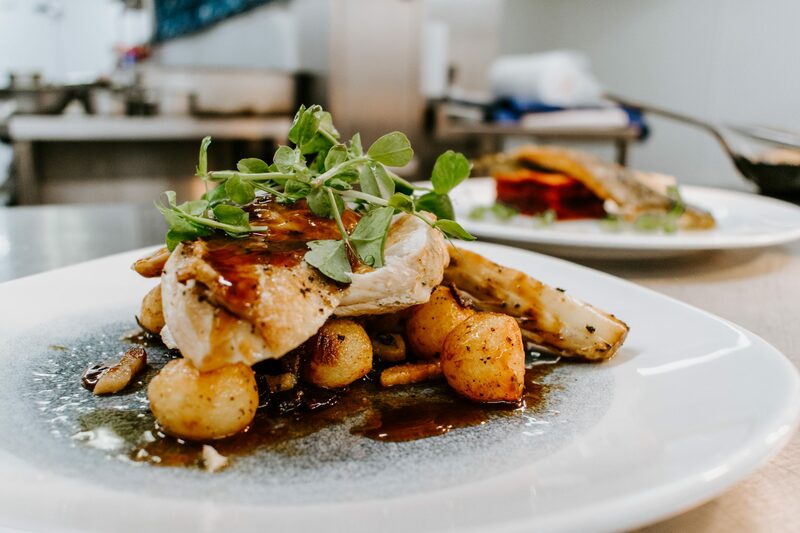 To make a booking for our Brasserie, email dining@aubreypark.co.uk or phone 01582 792105.